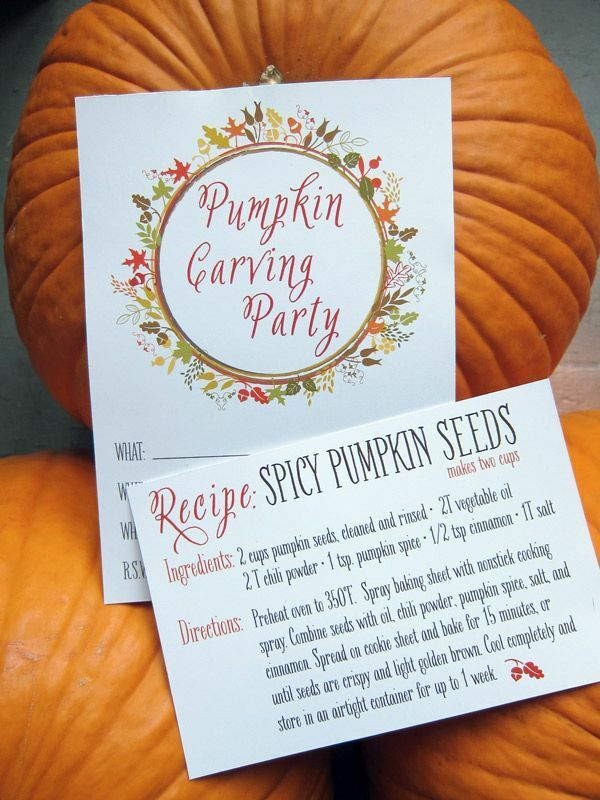 Send out fall themed invitations and make coordinating recipes for roasted pumpkin seeds for your guests to take home. 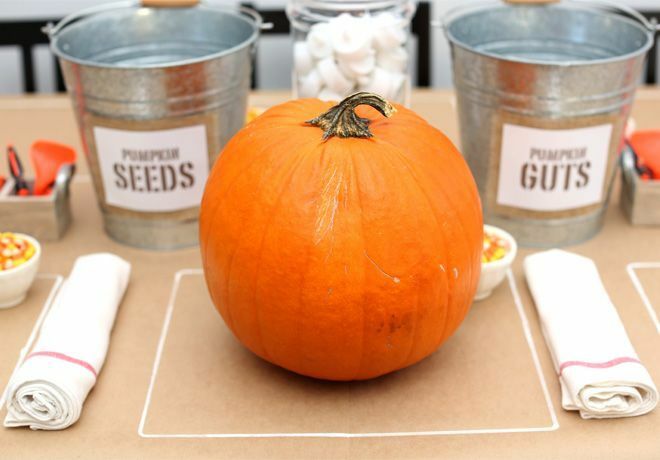 Draw each guest's work station in chalk and place a pumpkin at each seat. 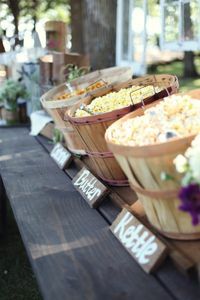 Make sure to have buckets for trash and seeds as well as all of the tools the carvers will need. Don't forget some candy corn to snack on! 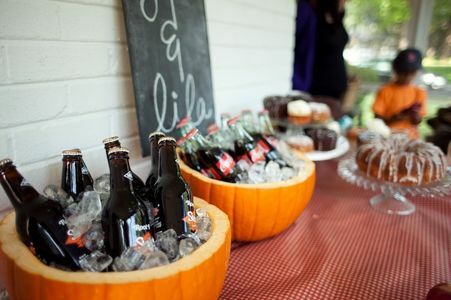 Set out themed food and drinks for the occasion. Halloween candy and flavored popcorn make great snacks. 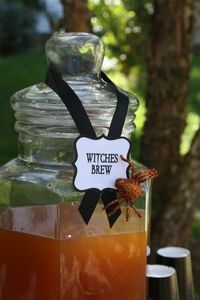 Carve out pumpkins to use as coolers or punch bowls or make your own Witch's Brew. Pass out prizes for the best carvings. 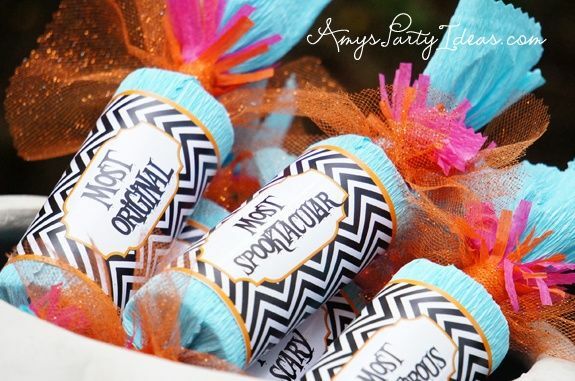 Make sure you get creative with your categories! 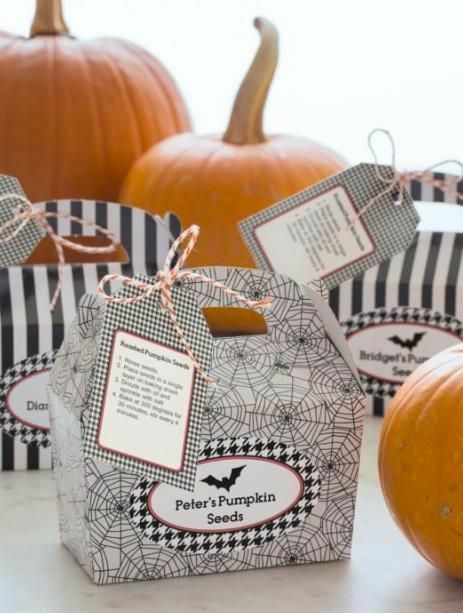 Send your guests home with the pumpkin seeds in cute boxes with a recipe for roasting the seeds!